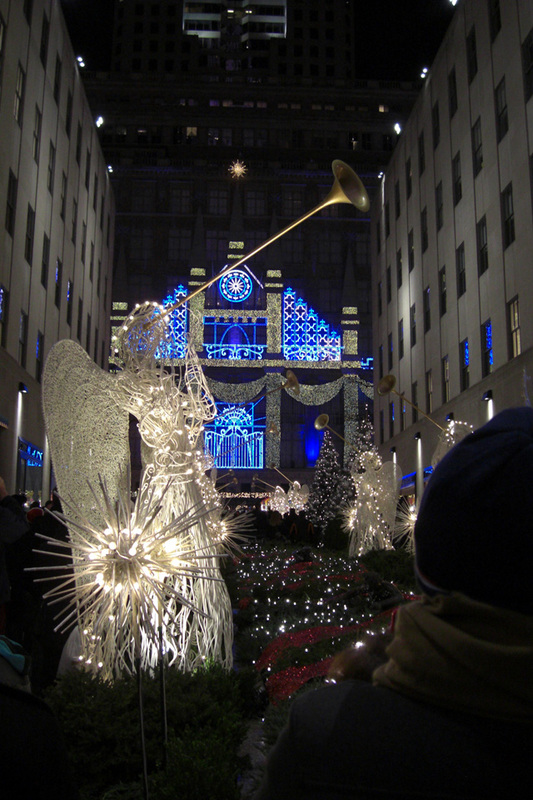 During the holidays, an avenue of angels and poinsettias leads to Rockefeller Center's skating rink. I waited there with the rest of the crowd for the start of best show in town. Every ten minutes, the venerable facade of Saks Fifth Avenue becomes the canvas for a choreographed extravaganza of music and lights. The crowd lost interest in the skaters and the giant tree. We all turned to watch the colors move and change while the angels in front of us silently trumpeted towards the night sky. 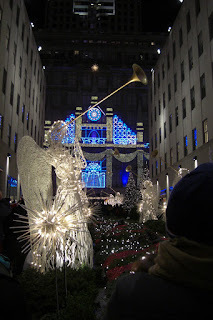 Now that's a real "Christmas In New York" experience.